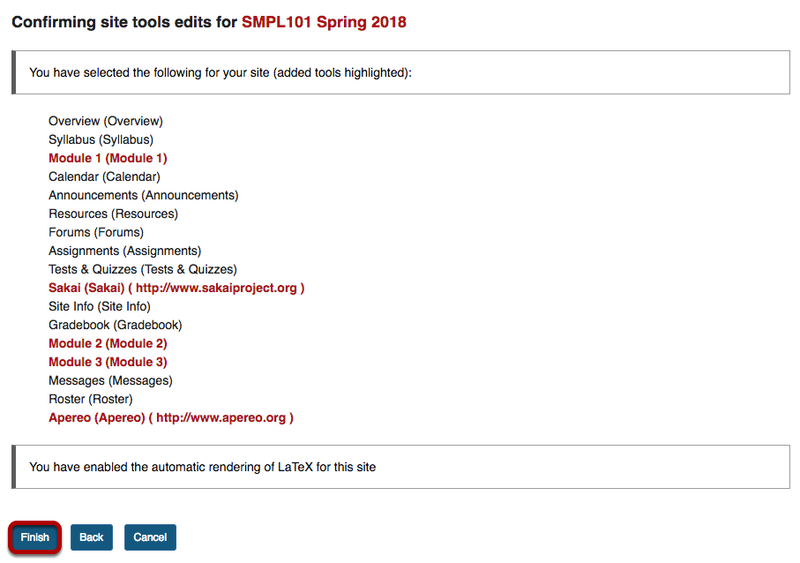 Sakai Guides and DocumentationSakai Basics Site InfoHow do I add tools to my site? 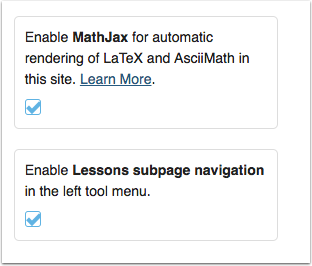 Zoom: Screen for selecting Course Site Tools with box for selected tools on right. 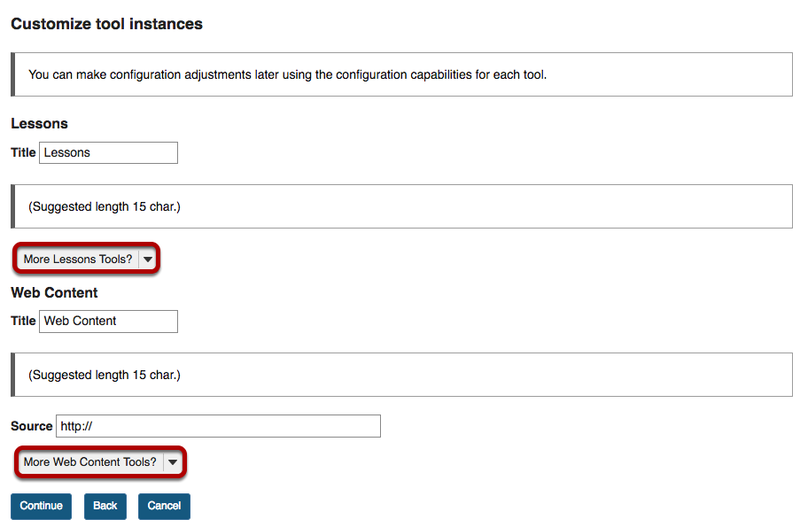 Zoom: Example: Customizing multiple tool instances for Lessons and Web Content. Zoom: Confirm tool selection screen with tools added highlighted in red.